Solitaire Puzzle Game Using Money! 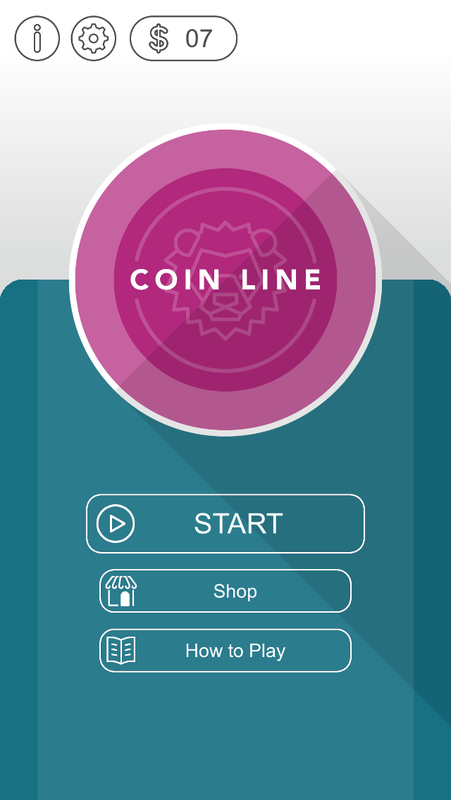 Coinline is a simple solitaire puzzle game using money! * Minor bug fixes and small improvements. * New game mode "Blitz mode" is here! - You compete for high score in the time limit for 60 seconds. - It's suitable to play for a short time. - Without returning to title screen, you can upgrade directly from result screen. - A badge on the shop button notifies you of the number of upgradable items. 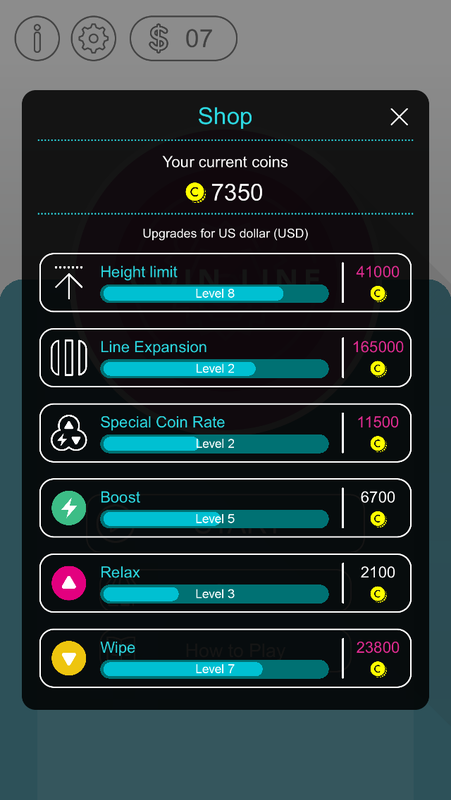 - Now you can reset upgraded items to level 1. * Improve response of coin operation. 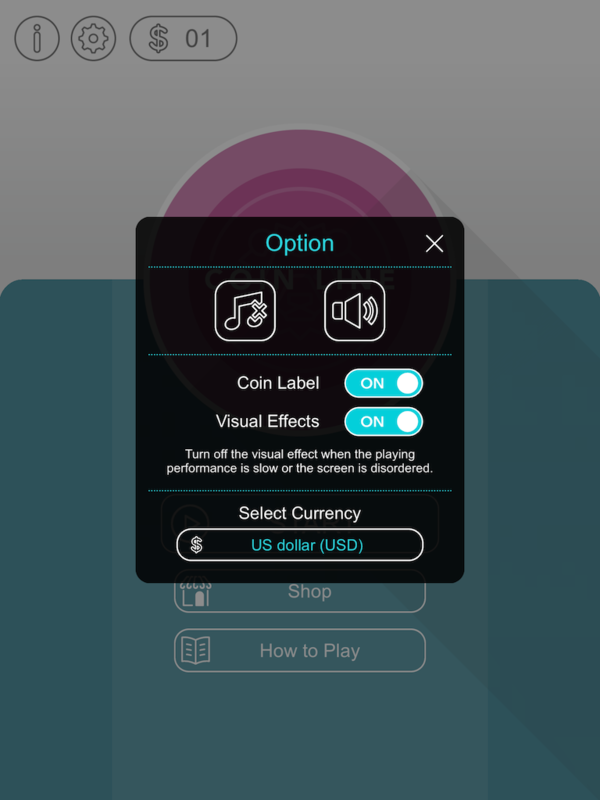 * You can tap to skip the animation of coin acquisition on the result screen. * Fix sometimes crashes when mobile network is unstable. Switch the coins wisely, and try to pile the same coins up. For example, if you pile five 1 cent coins, they turn into a 5 cent coin. Two 5 cent coins turn into a 10 cent coin. Every time the value change happens, the coins become 1 cent -> 5 cent -> 10 cent -> 25 cent -> 50 cent > $1. When five $1 coins turn into a $5 bill, and it disappears. 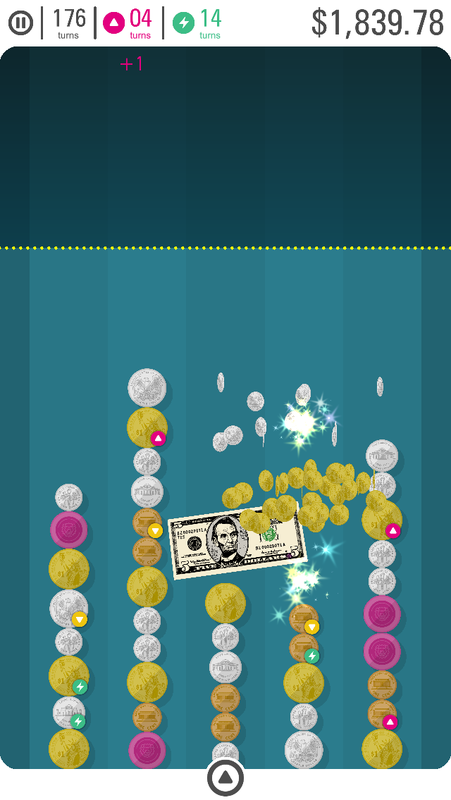 Coins are added from the bottom. Make a value change happen as fast as you can and erase the coins effectively. 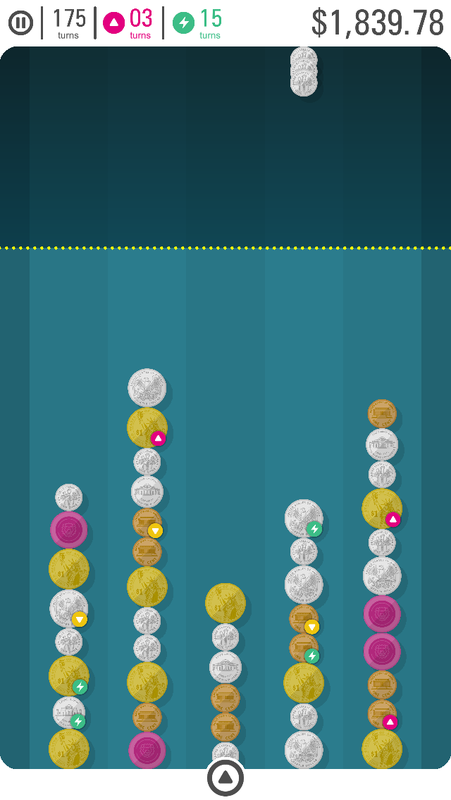 When coins go over the line limit, the game is over. 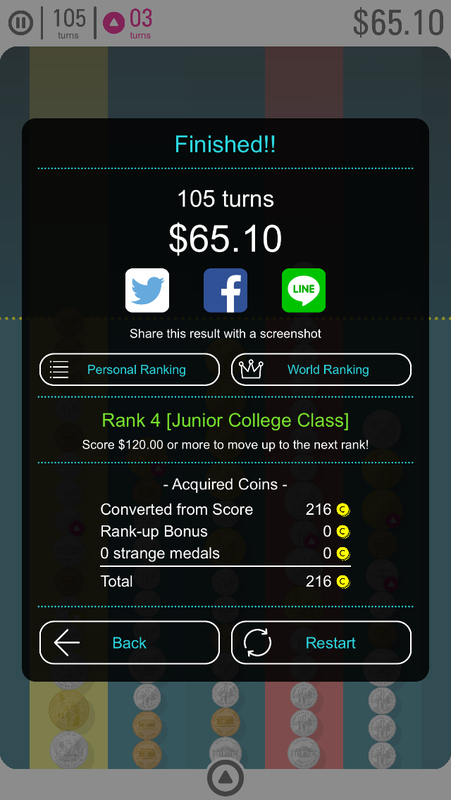 As the value change happens, you gain the corresponding score. When you make a chain of value changes happen, you'll get the higher score! 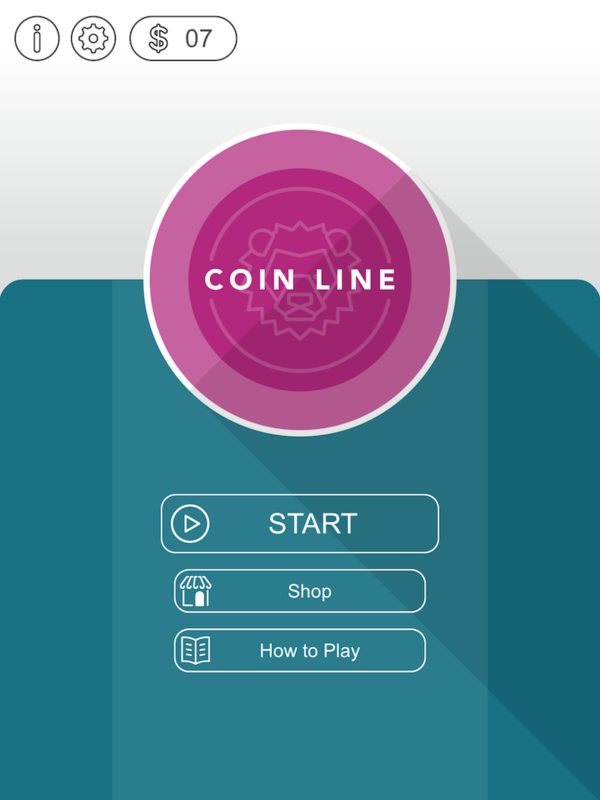 Please see the following page for more information about how to play the app. 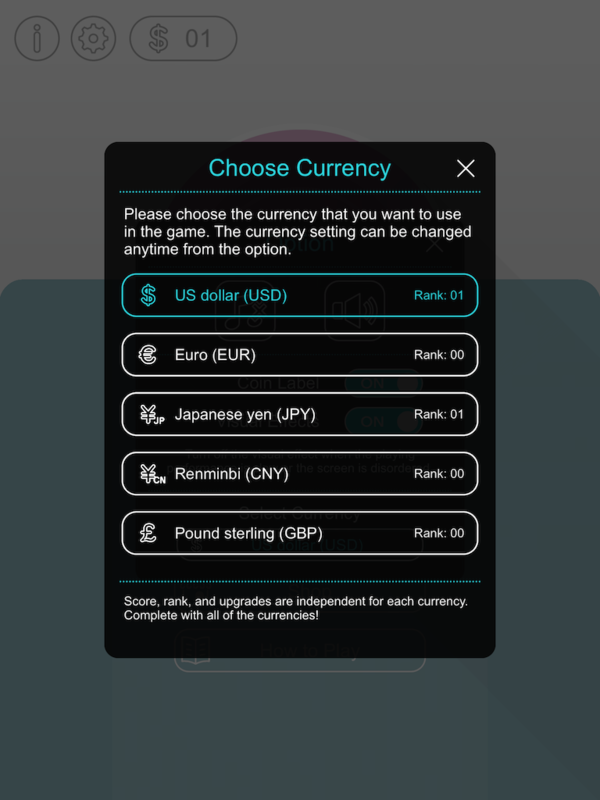 The game supports Japanese yen, US dollar, euro, Pound sterling, and Chinese Renminbi. 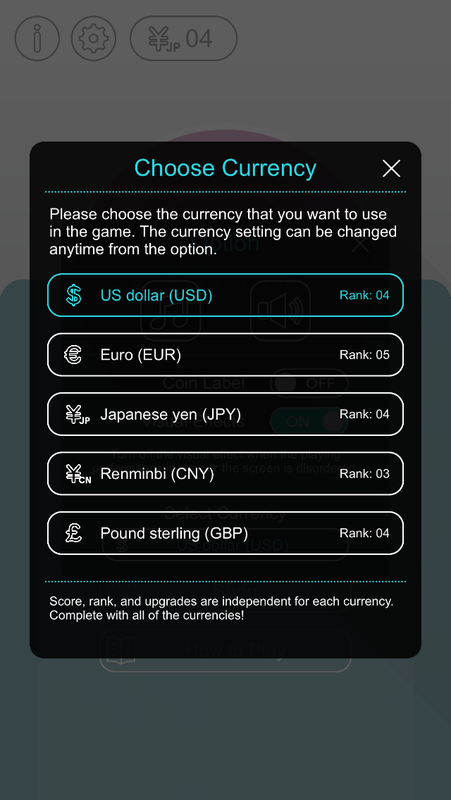 You can change the currency at any time from the option screen. Sometimes a special coin with a certain icon will appear. 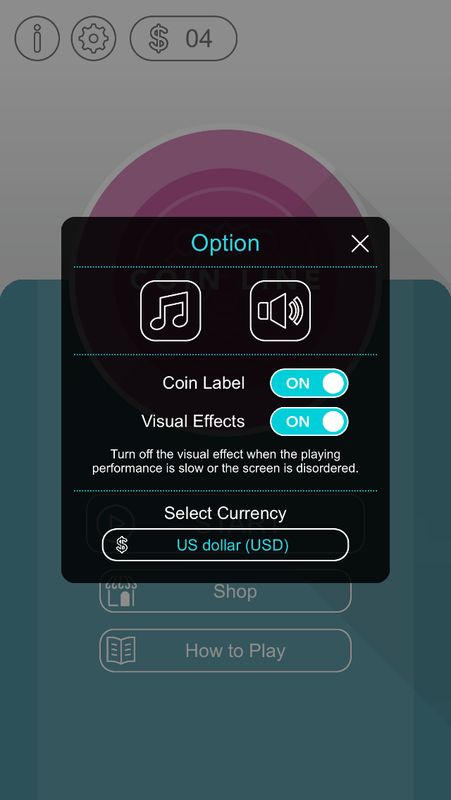 If you eliminate these coins with a value change, the special effects, such as tripling the score and removing obstacle coins will be invoked. 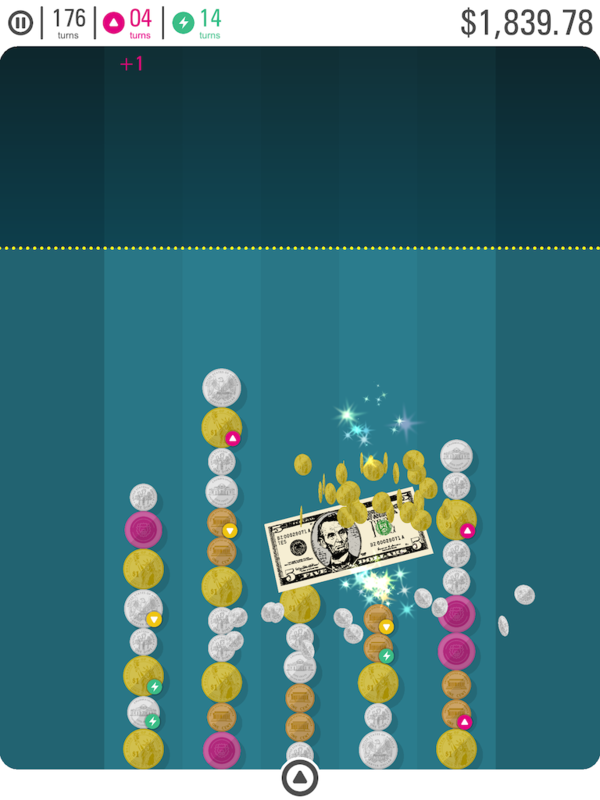 Aim for eliminating those coins! 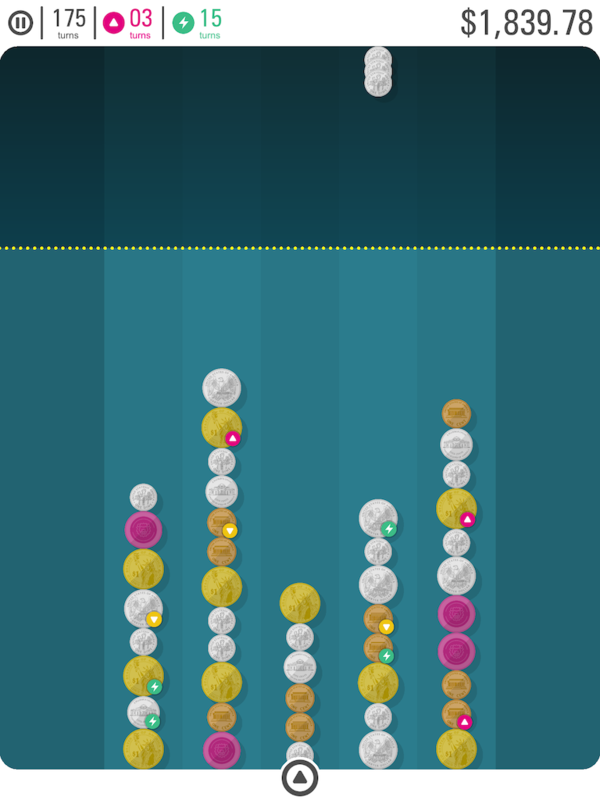 According to the score you get, you'll receive coins. 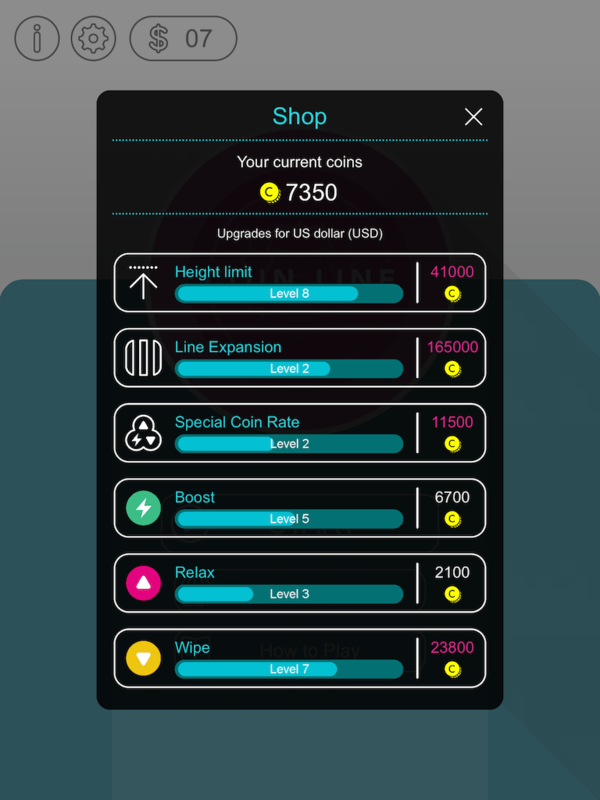 Use the coins to buy various upgrades at the shop screen. 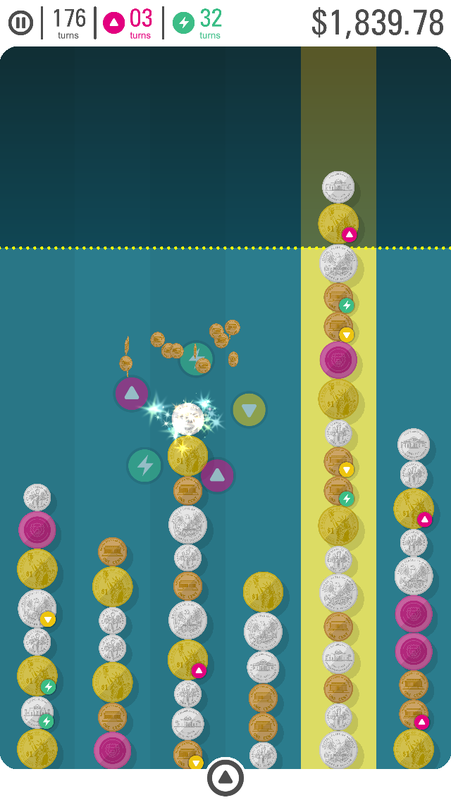 For example, you can get upgrades to heighten the line limit or strengthen the effect of the special coins. 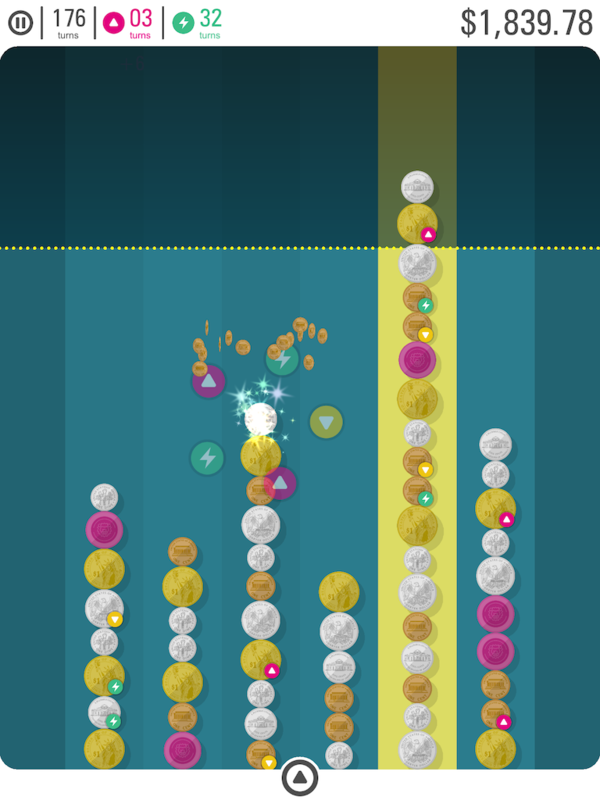 Upgrade yourself and aim for the higher score! 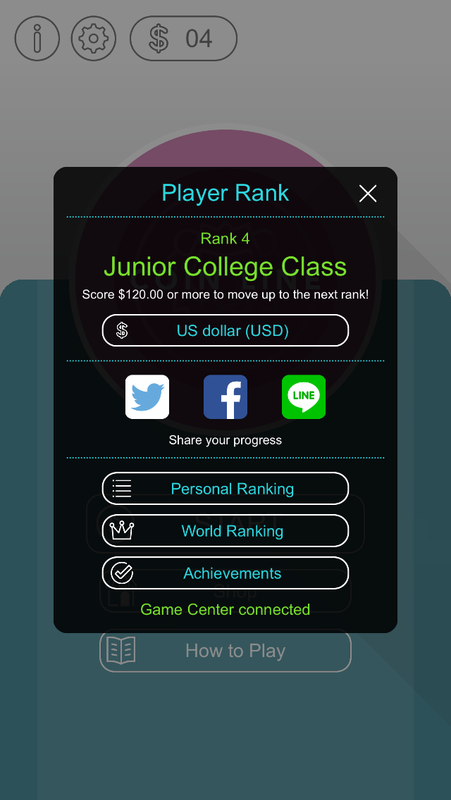 Support Game Center leaderboard rankings and achievements. 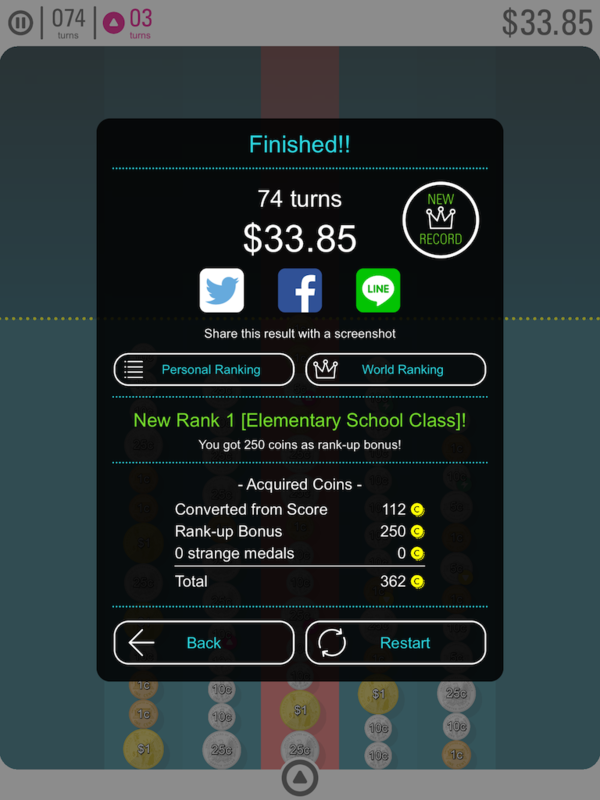 Complete against your friends or players all over the world! There are no add-ons and you can play the game for free for good. * No automatic post without operation. * All data is collected on an anonymous basis, and no individuals will be linked. 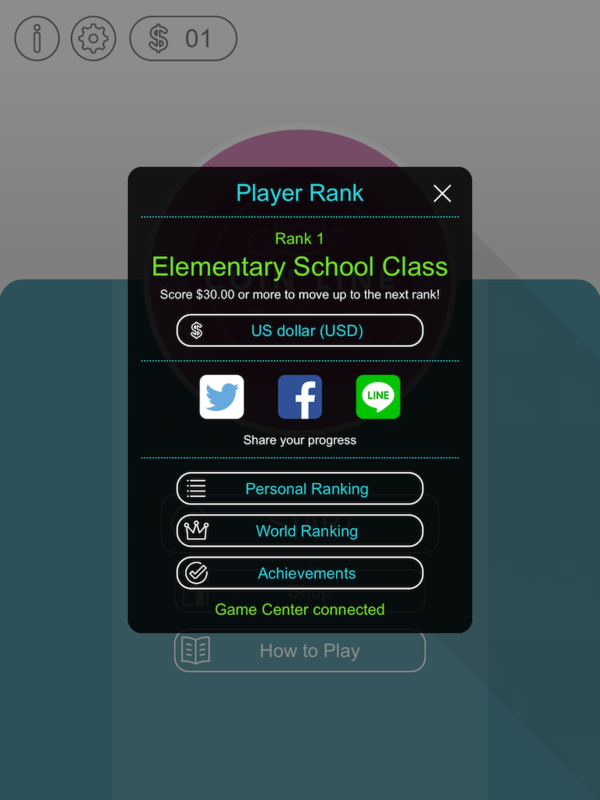 By signing with Google+ account, play data such as the score will be automatically sent to the server and your account name and score will be shown on the leaderboard. Please feel free to contact us by email or join us on twitter or facebook. (C) 2013-2017 Keaton.com. All Rights Reserved.